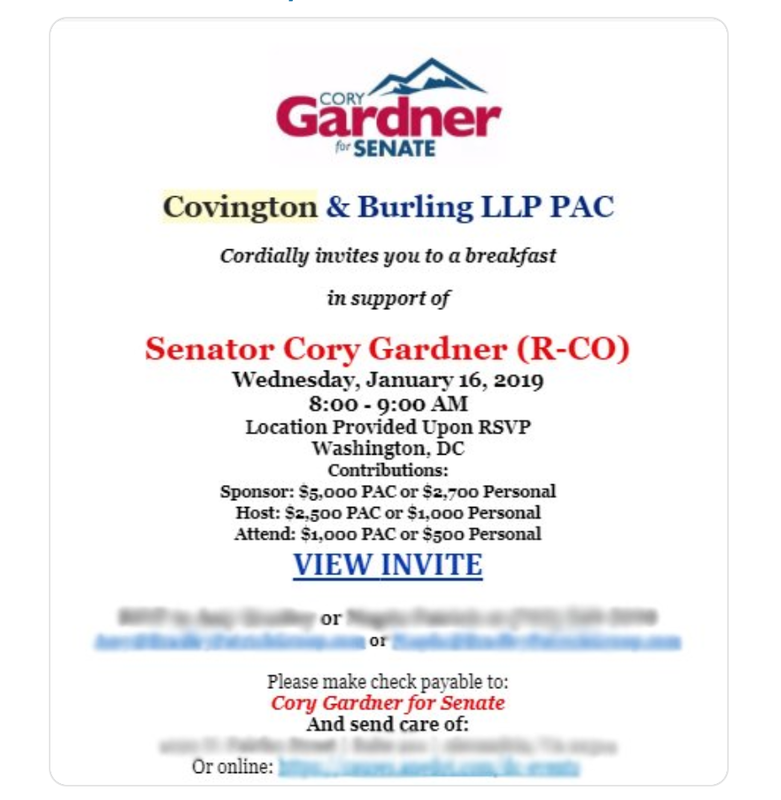 Senator Cory Gardner (R-CO) was the guest of honor at an exclusive fundraiser yesterday morning, hosted by a white shoe law firm at an undisclosed location. This is the second law firm fundraiser within the last week. 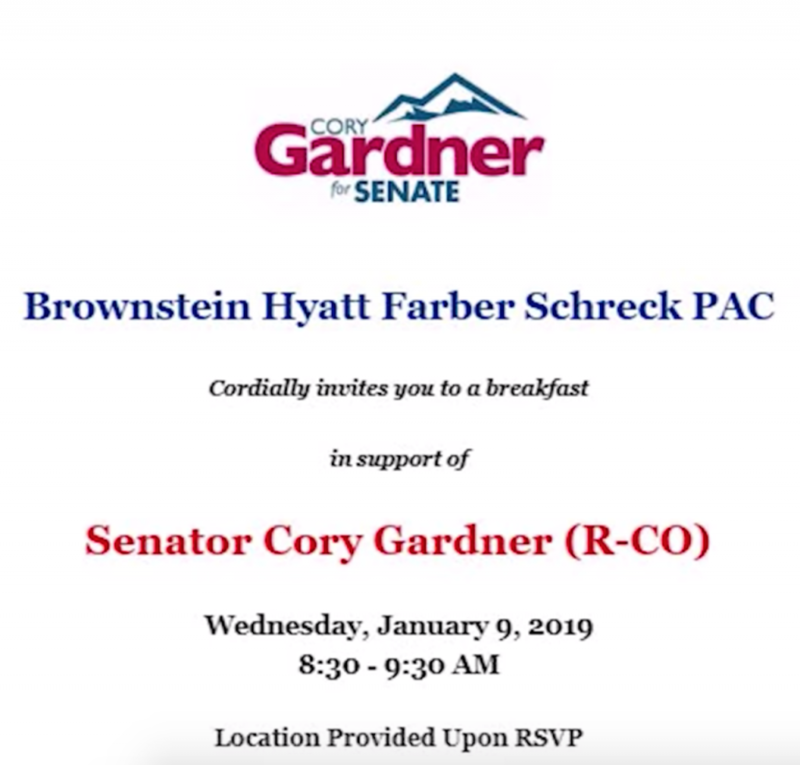 Colorado powerhouse Brownstein Hyatt Farber & Shreck hosted a similar breakfast for Gardner on January 9. The purchase price for entrance to each event started at $500 per plate for individuals and $1,000 for political action committees. “Host” and “Sponsor” tickets, which typically include more access to the senator, ranged from $1,000 to $5,000. 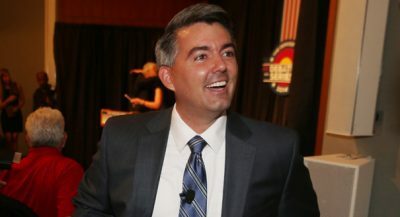 Gardner’s decision to raise campaign money during the government shutdown drew criticism from the Colorado Democratic Party, which noted on social media that over 15,000 Colorado workers are currently going without a paycheck. 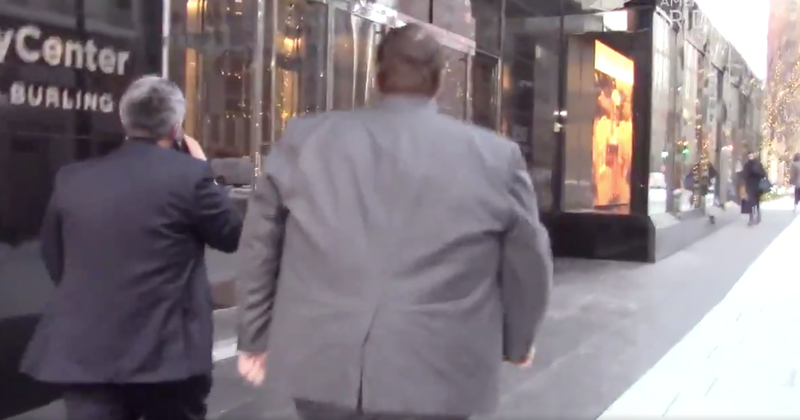 The party posted a tracker video of Gardner and an associate walking into the event. Host firm Covington & Burling LLC is one of the most prestigious law firms in Washington. It is famously known for representing the tobacco industry since the 1950’s, specifically Philip Morris and the Tobacco Institute, a trade group it created to attack medical research about the dangers of smoking. Other clients include Erik Prince’s private mercenary firm Xe Services (formerly Blackwater Worldwide) and Haliburton, which hired the firm to handle “inquiries concerning company’s construction and service contracts in Iraq. Two days ago Gardner joined the Senate leadership team. Senate Majority Whip Senator John Thune (R-SD), named Gardner as one of his dozen deputy whips. This topic contains 0 replies, has 1 voice, and was last updated by Erik Maulbetsch 3 months ago.